Better Drops for Minecraft Pocket Edition 0.13.1 adds the ability to drop items one by one. This is very useful when you're playing with friends on the server. 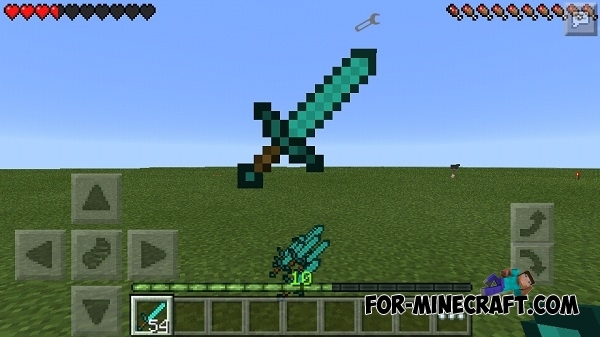 For example, you have a swords stack in the inventory and you want to give one or more swords to his friend. Choose the slot that keeps the sword. Hold the slot. The longer you hold, the faster will drop items.